Kellogg’s are a breakfast time institution; home to iconic brands such as Cornflakes and contemporary cereal brands like Nutri Grain. 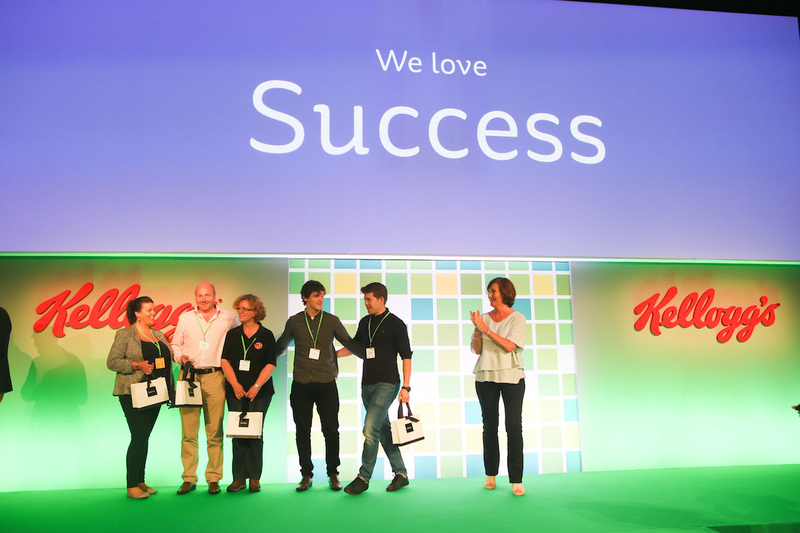 The company’s purpose is to nourish families so they can flourish and thrive. 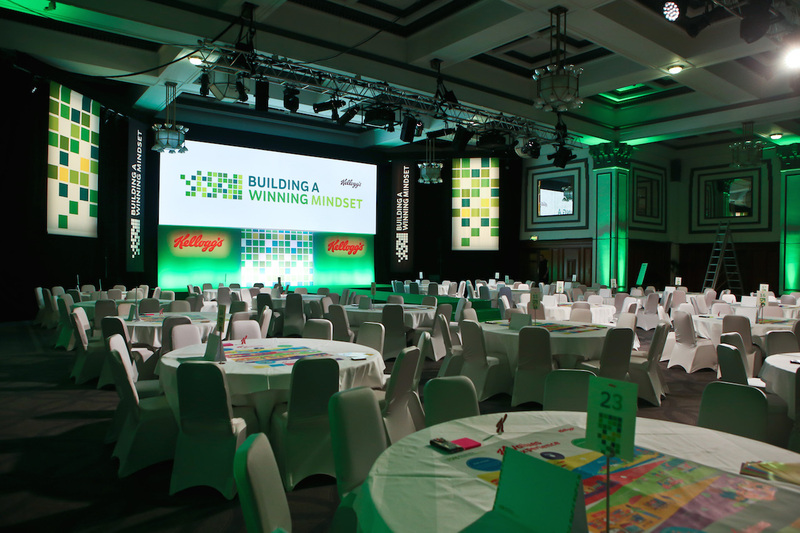 Our brief covered creative theming, stage set and design, event collateral, promotional items, producing the event presentation and on-site registration and hosting. It all began with the creative theme. 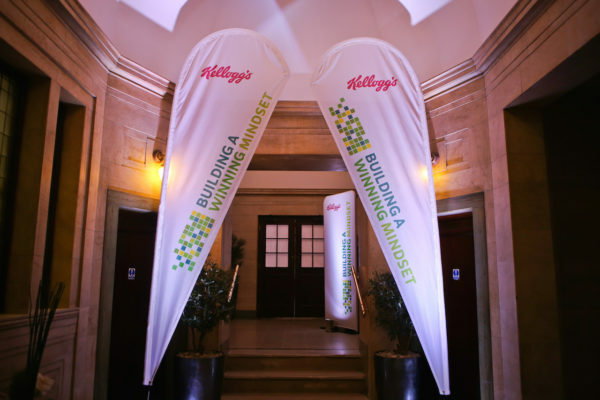 We designed a building block visual to represent building a winning mindset, with a green colour palette for health and energy. 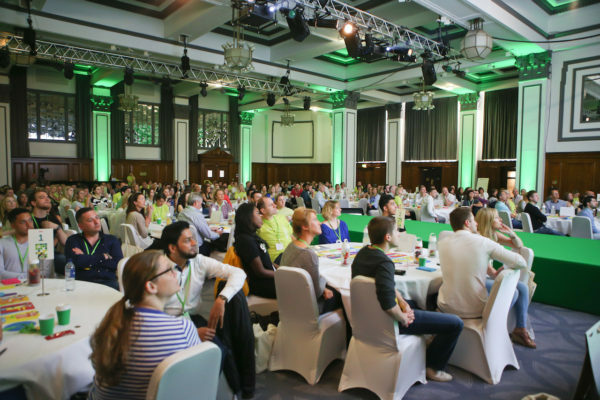 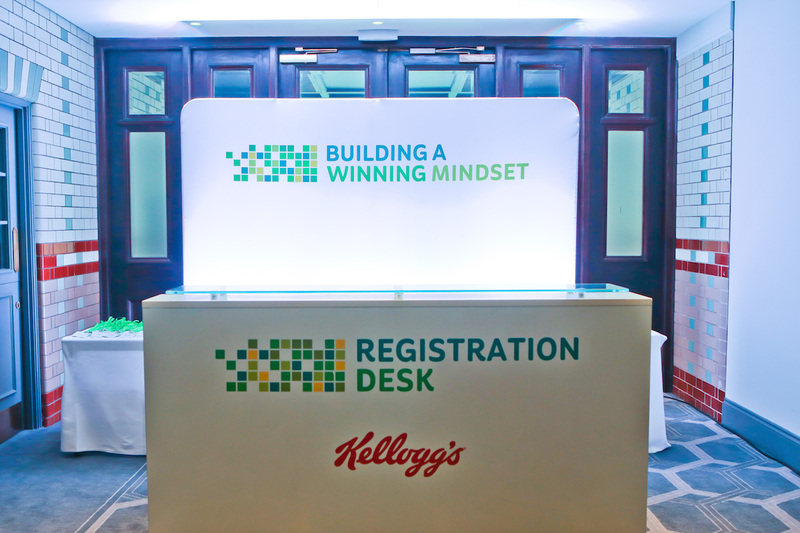 The Principal Hotel was our winning conference venue in Manchester and working closely with the team there, we transformed the conference space with branded signage, flags, backdrops, goody bags and registration desk. 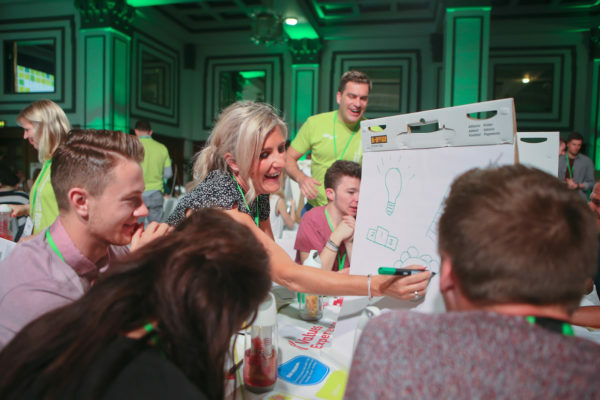 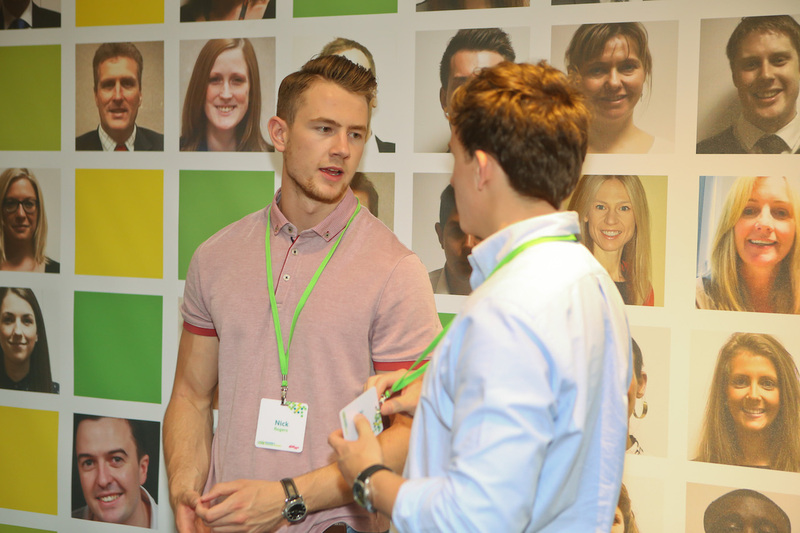 Personalisation was added with a graphic wall of pictures of the delegates, who had great fun finding themselves, whilst the main stage was built with a runway format for speakers to get in amongst the audience. 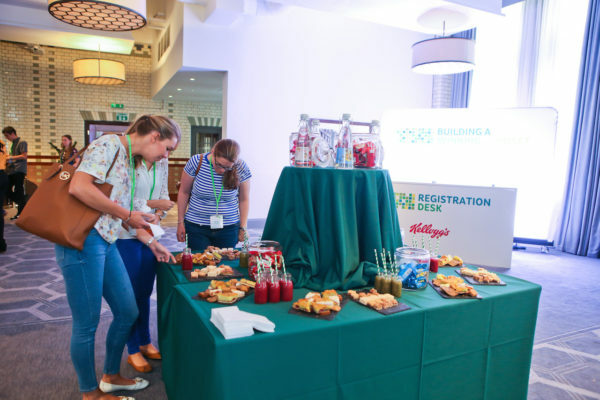 Breakfast obviously had to be a focal point, so we created ‘heaven and hell’ breakfast stations where guests could choose from healthy cereals or naughtier treats, all Kellogg’s of course. 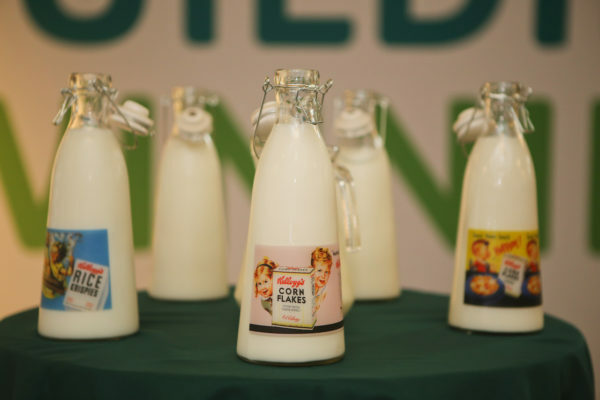 Our creative flourishes included sourcing vintage Kellogg’s milk bottles and branded fruit infusion bottles for delegates to keep, a more relevant takeaway than a standard pen or USB stick. 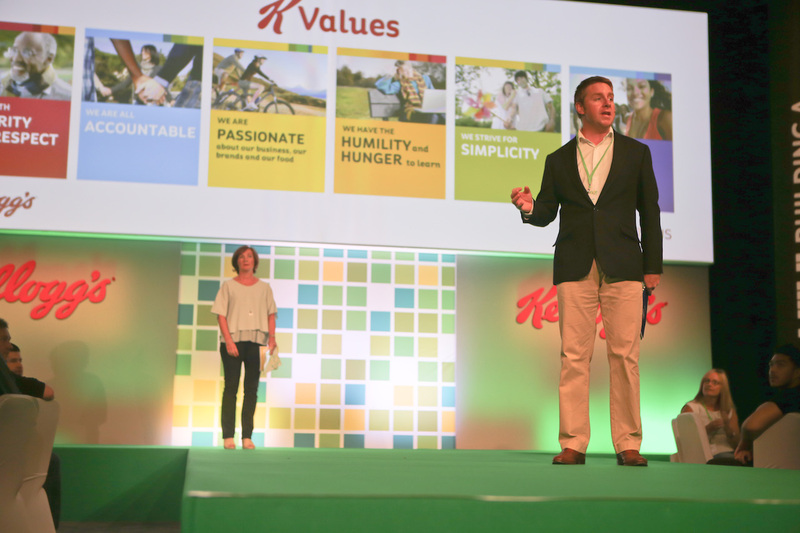 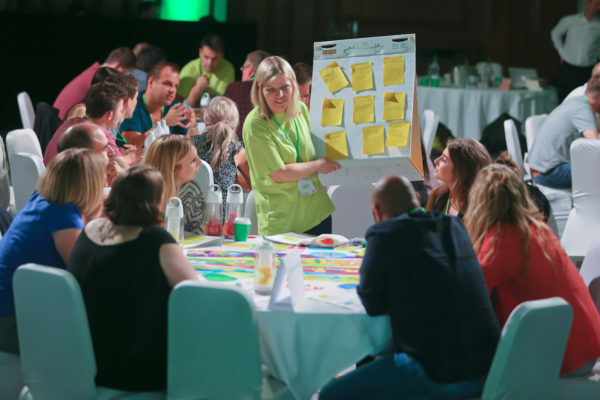 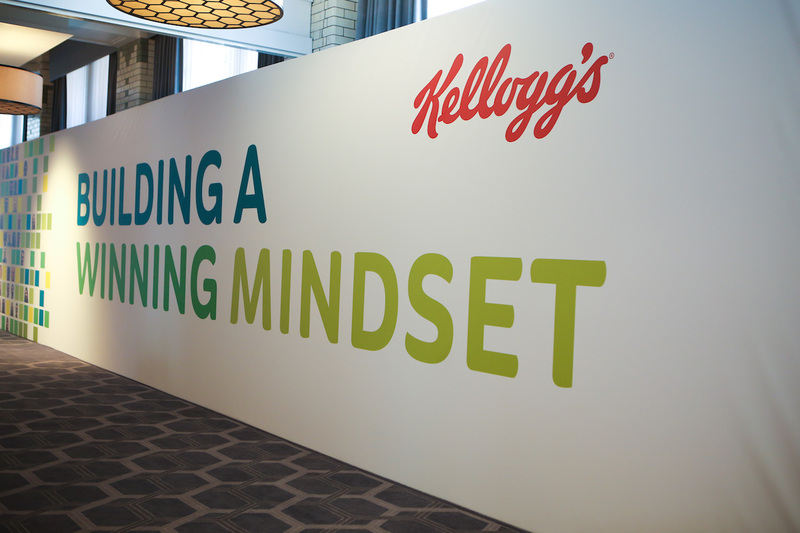 The morning session revolved around an interactive board game about the Kellogg’s values, specially designed to fit on tables easily without displacing drinks and notepads. 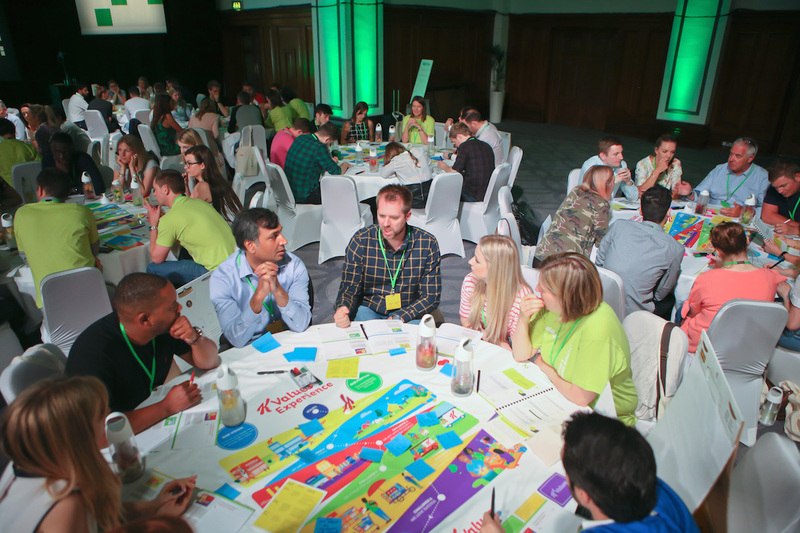 Other round-the-room activities ensured delegates were fully engaged in finding their own answers to the goals for the day. Knowing that queuing for a buffet lunch can often lead to a rushed lunch break, we opted instead to give the lunch room a makeover to become a picnic area. 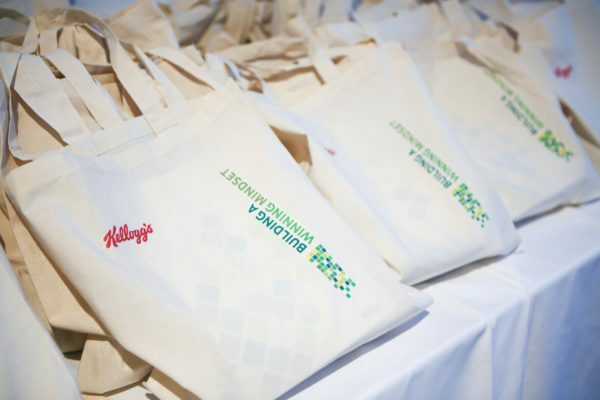 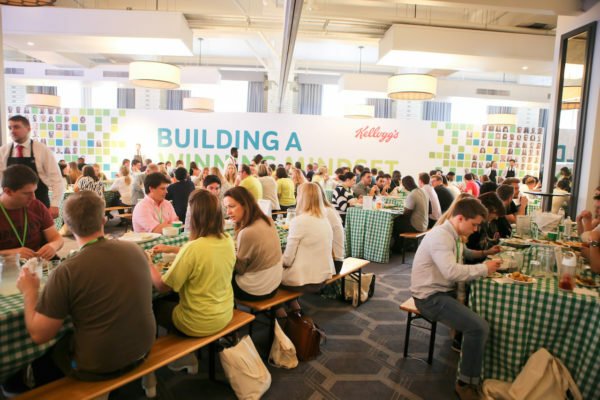 Green gingham tablecloths and picnic benches were laden with goodies specially created for Kellogg’s including chicken and prawn bites covered in Pringle ‘breadcrumbs’. 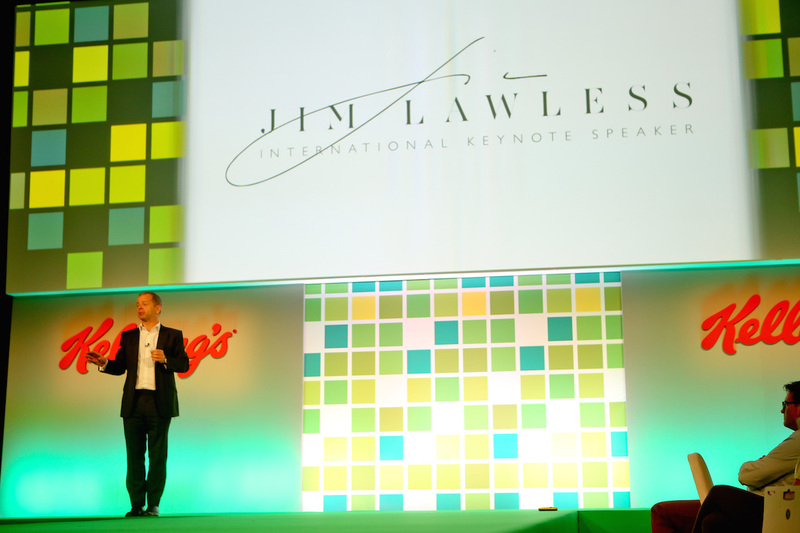 We sourced international keynote speaker, Jim Lawless for the afternoon session. Jim was the first Briton to dive lower than 100m on a single breath and specialises in inspiring delegates to achieve what they have convinced themselves in impossible. 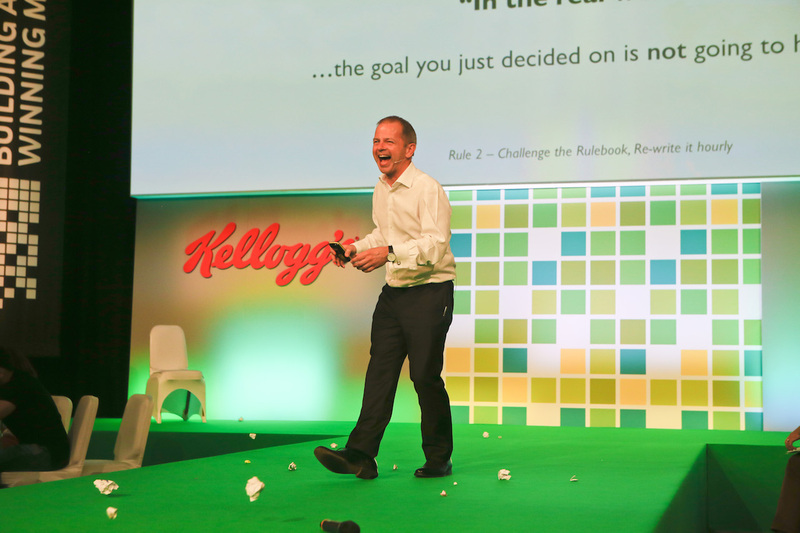 It was certainly impossible to leave his presentation without feeling that you could take on the world! 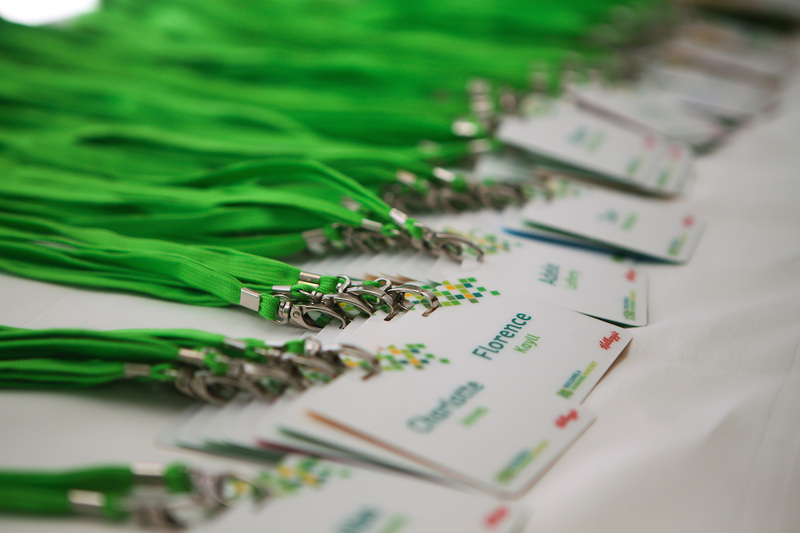 The level of detail and personalisation that went into the day succeeded in motivating the delegates, who went back to their offices raring to go. The branded fruit infusion bottles were a particular hit – we still see them around the Kellogg’s office now.